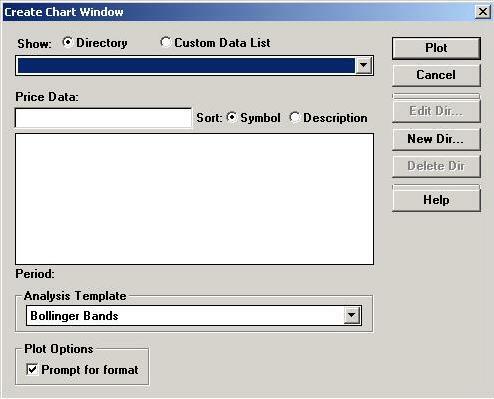 Outlined below are the detailed step by step instructions for using SuperCharts with our data. You will only need to follow these steps once and after that the data will be visible everytime you open SuperCharts. Download and convert the data using our automated download product DataClient. Launch Supercharts and click Create New Workspace. Enter a name for the new workspace and click on the OK button. At the Create Chart screen click on New Directory. 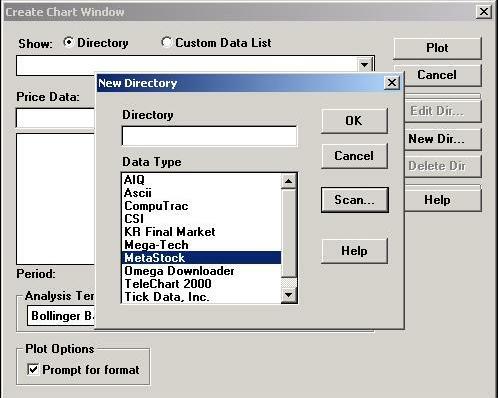 Select Metastock as the data type and click Scan. Depending upon how many Metastock folders are on your drive this may take a minute or so. 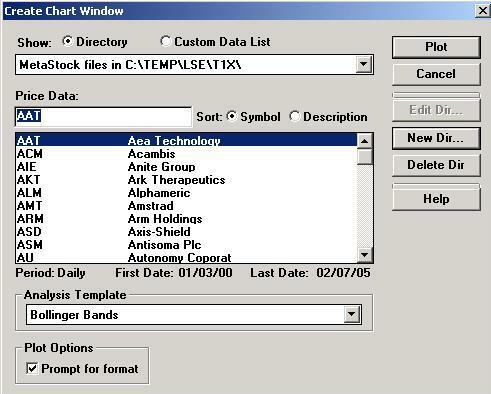 From the resulting list of folders select the one you want to display the list of stocks. To open a chart simply double click on the stock.